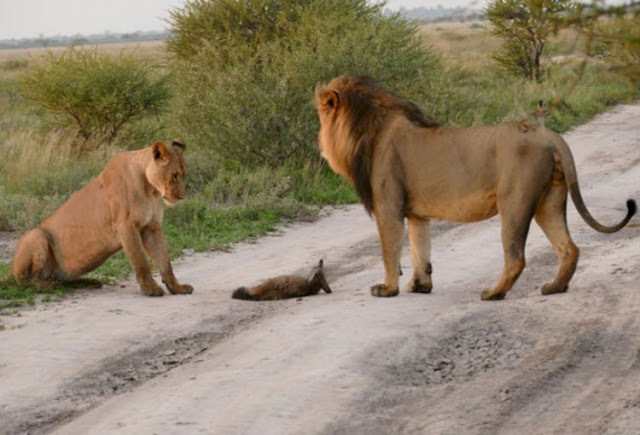 Two Lions Walk Up To An Injured Fox. What They Do Next Has Animal Experts SHOCKED. There is absolutely no doubt that most mothers have an instinct to protect their own, but that also applies to other babies as well. 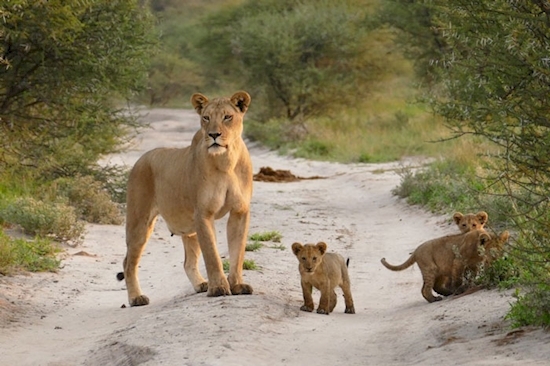 Mothers just have an instinct to care for, and protect, children. This applies not only to human beings, but mothers of all kinds. When it comes to wild animals, however, that instinct is generally kept to their species. Recently, though, one lioness defied what we assume to be common knowledge and did the complete opposite. She stumbled upon an injured bat-eared fox that was about to become a lion's food. 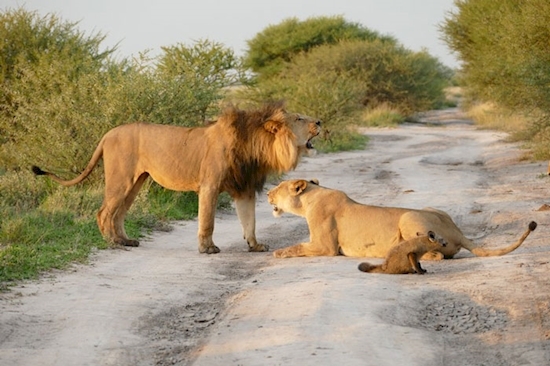 Instead of letting this lion just get a quick and easy lunch, she does the unthinkable. The lioness spotted the injured fox and, instead of treating it like food, ran to protect it from another lion who was moving in on it. Baby fox is ... Friend? 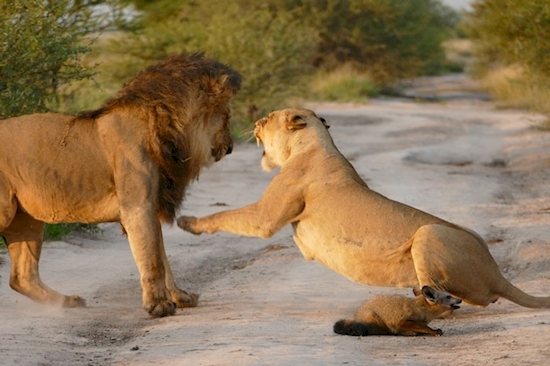 As soon as the lion began to approach the fox, the lioness protested. Her instincts kicked in and she moved herself, as well as her own cubs, in-between the lion and the poor little fox. She wasn't about to let this little guy become someone's food, not while she was around. Needless to say, the lion was not happy. 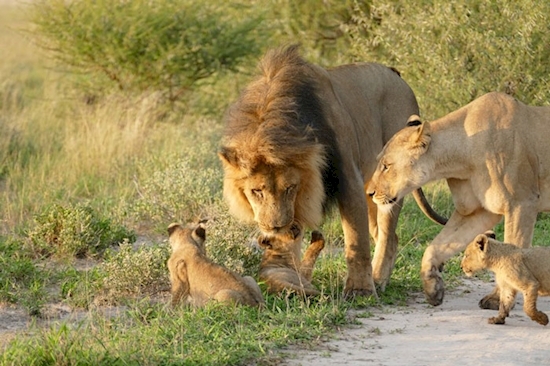 The lion, obviously angered by the lioness' opposition, quickly turned his gaze to her cubs. Apparently he didn't learn, so he figured going for her real babies was the smarter decision. 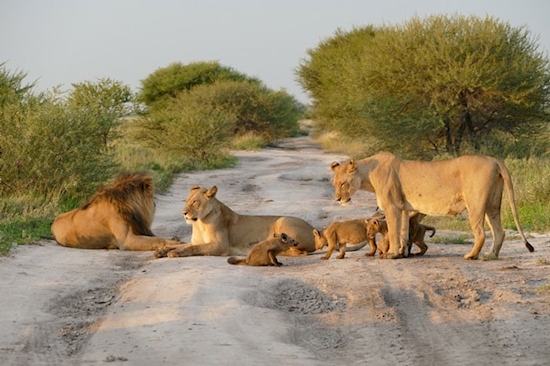 This only provoked the lioness and led the two to a full-out roaring battle. Both the lion and the lioness stood their ground, but after some time, the lion gave up and walked away, hoping to find a snack elsewhere. This beautiful act of bravery and kindness was done by the head lioness of the Sunday Pan Pride. 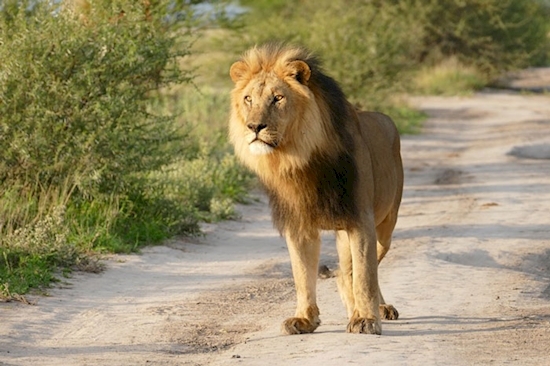 She resides at the Central Kalahari Game Reserve in Botswana. Apparently for this lioness, no animal would be left undefended. Truly a shocking and unexpected act of love.